An "extraordinary" post-earthquake house in a Chinese village has won the prestigious World Architecture Festival Building of the Year – and four Australian projects have been recognised at the 2017 festival held at the Arena Berlin in Germany. 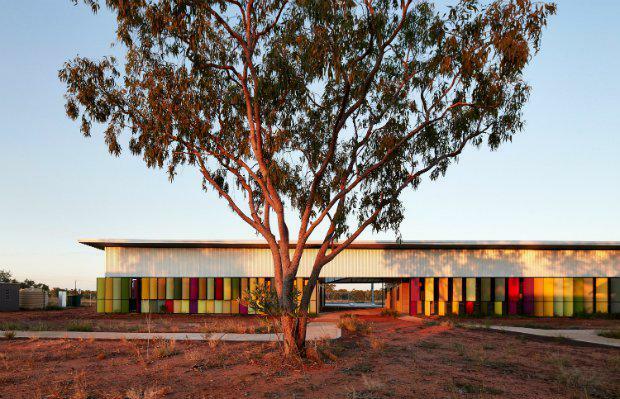 Two Australian projects were overall winners, with the Sydney Fish Markets by Allen Jack+Cottier and NH Architecture taking out the Future Project of the Year and the Fitzroy Crossing Renal Hostel by Iredale Pedersen Hook Architects winning the Best Use of Colour award. 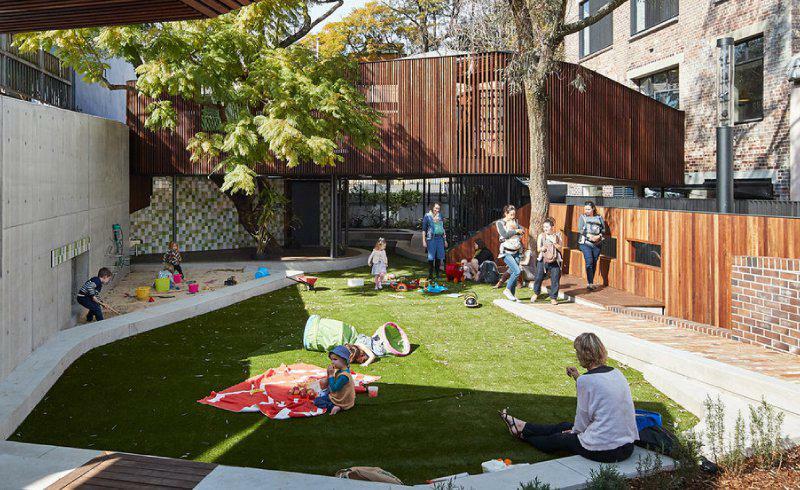 A Sydney childcare centre has won the School -- Completed Buildings category and a Sydney office has been highly commended in the Office -- Completed Buildings category. Allen Jack+Cottier Architects and NH Architecture won the Masterplanning -- Future Projects category for the Sydney Fish Markets. Sir Norman Forster was recognised for his contribution to architecture. 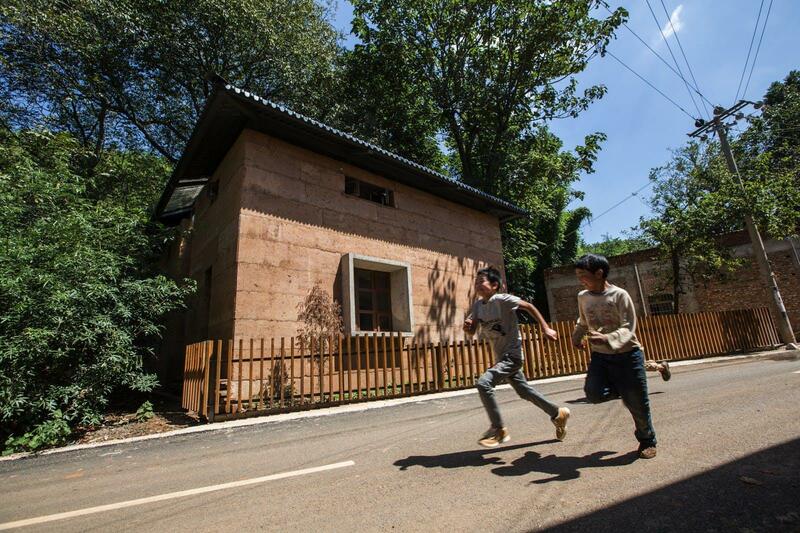 After the Ludian earthquake in 2014, most of the local rammed-earth buildings in Guangming Village were destroyed. Villagers chose to build brick–concrete houses during the reconstruction period. However, the price of building materials rapidly increased and became unaffordable for most local villagers. This project innovates the traditional rammed-earth building technology to provide villagers a safe, economical, comfortable, and sustainable reconstruction strategy that the villagers can afford, own, and pass on. A project that will never come to fruition has been named the World Future Project of the Year Winner for 2017. Allen Jack + Cottier Architects' vision for the new Sydney Fish Markets was named the "clear winner" by the judges, for a project that "transforms a world bigger than itself". "The jury took the view that in this category we must award the project that opens up the greatest transformation of the future in all its forms," the judges said. "It addresses matters of real life, visceral life, food and transport. 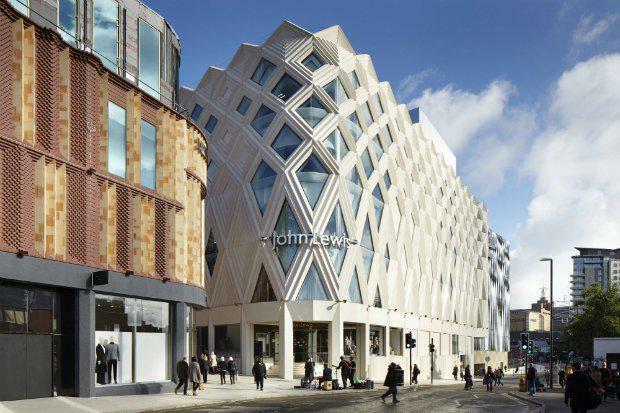 The architects executed their role in an exemplary and inspiring fashion," they added. 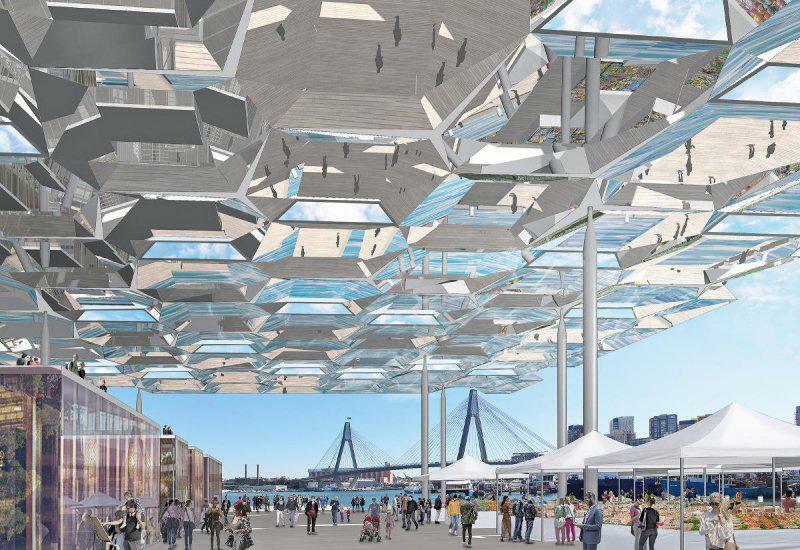 AJ+C and NH Architecture prepared the urban design framework documents for UrbanGrowth NSW, which were used as the briefing documents for the Sydney Fish Market competition and redevelopment. AJ+C's solution involved mitigating the inherent risks of redeveloping the current site, by relocating the existing Fish Market from its location in Pyrmont to a nearby wharf at the head of Blackwattle Bay, opposite Wentworth Park. The existing location could then be transformed into a mixed-use development site. Following the international design competition, 3XN and BVN were appointed to lead the design of the new Sydney Fish Markets. As part of a consortium FJMT will develop a masterplan, with Mott MacDonald, Royal Haskoning DHV and Arcadis providing engineering and development services for the entire Bays Market Precinct. The Fitzroy Crossing Renal Hostel provides a long term accommodation facility for Aboriginal people from outlaying communities receiving renal dialysis. The facility should humanely support the needs of the residents, who will need to be self sufficient and independent or may have a carer living with them. It provides a safe environment to wander and gather with occupants, family, friends and the community. Light is filtered and coloured by screens responding to various scales of gathering. In the Schools category, the winner was Andrew Burges Architects for a Sydney childcare and community centre which features tiny house-shaped rooms and a sandpit on its roof. The East Sydney Learning Centre at Bourke Street Darlinghurst has been transformed in to a “mini city” for kids in a 1920s four-storey former warehouse building. Andrew Burges Architects were asked to convert the building to create a multi-level childcare centre with a community space on the uppermost floor. Nikken Sekkei were the architects for the Office -- Completed Buildings category winner for this building in downtown Tokyo. "The Great East Japan Earthquake that occurred on March 11, 2011. Ceilings fell in many buildings even in Tokyo. Rationing of electricity forced offices to cut back on lighting and air conditioning. 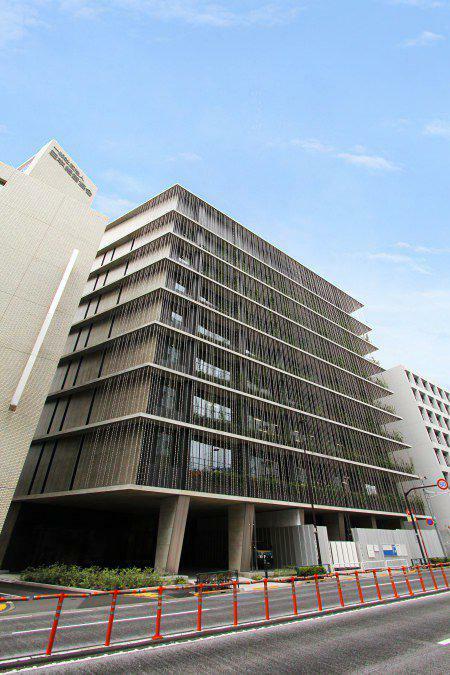 Office windows that do not open became a problem," said architecture firm Nikken Sekkei. "Co-op Kyosai Plaza integrates the latest in environmental building systems, making the most of the lessons learned after the earthquake." 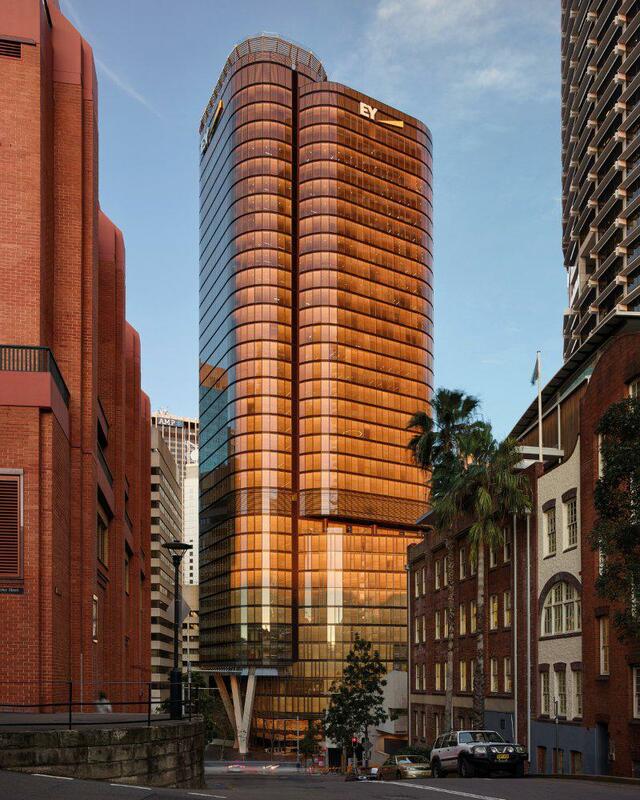 Architecture firm Francis-Jones Morehen Thorp were highly commended for the EY Centre in Sydney at 200 George Street. "The EY Centre is a building that reinterprets and honours the uniqueness and history of this place, positioned at the edge of Sydney’s Tank-Stream (the first water source of the colony of New South Wales)," wrote FJMT in their project description. "At the heart of this project is both workplace design and city making." 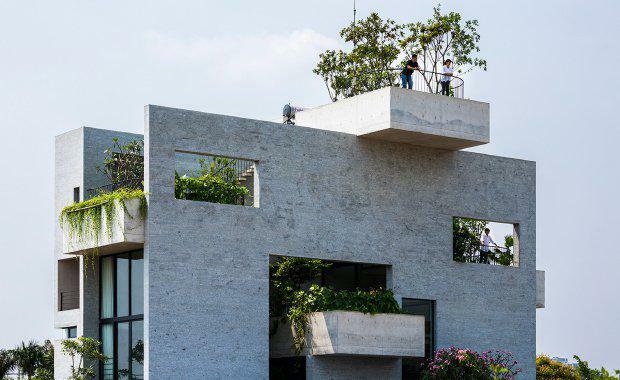 Called Bamboo House, the residence forms part of Vo Trong Nghia Architect's (VTN) House for Trees series, which aims to reinstate tropical green space into Vietnam's cities as they densify by covering new residences with plants. 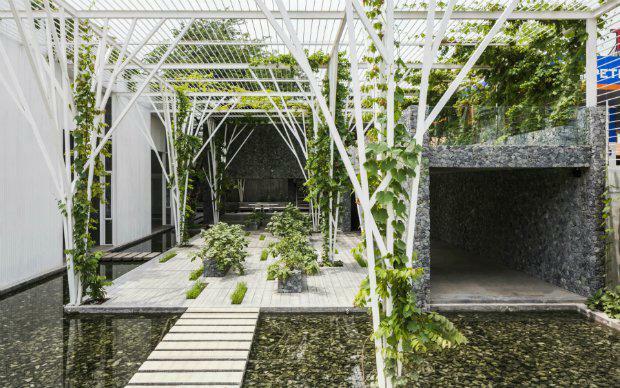 The aim for this project was to bring greenery into Ho-Chi-Minh City's narrow disused alleyways known as hem, which the studio describes as being "ravine-like" due to the tall buildings that frame them. 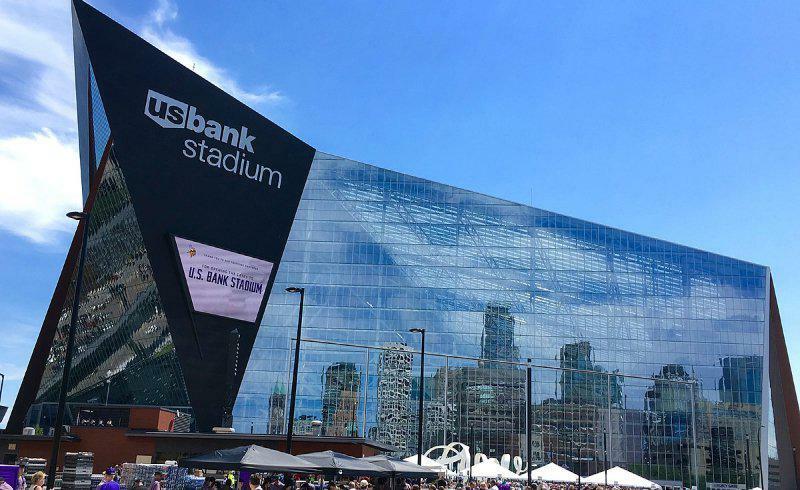 Built for the Minnesota Vikings NFL team and designed by Dallas-based HKS, the dynamic, angular symmetry of this stadium not only signifies what an NFL stadium should look like today, but also how it should serve as a civic hub. Architect John Hutchings of HKS explained that the stadium needed to be "contemporary in its architectural expression." Drawing upon local influences, the architects have achieved a building that addresses sustainability issues and allows for true multi-purpose use. 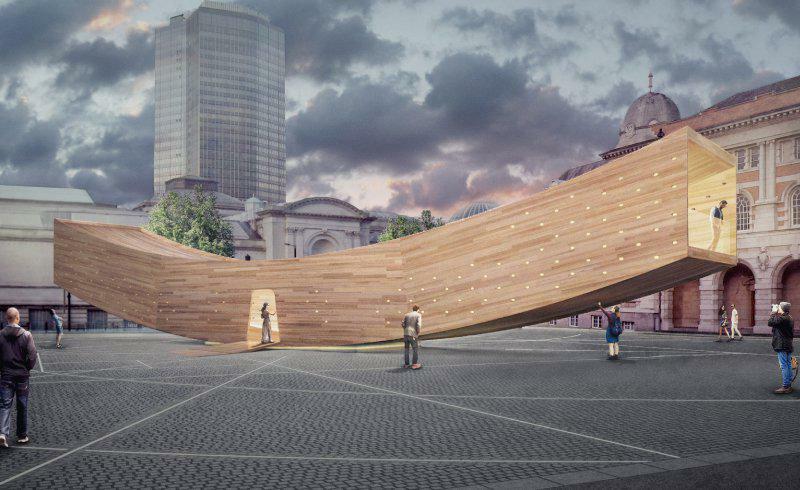 Alison Brooks Architects collaborated with The American Hardwood Export Council (AHEC), Arup and the London Design Festival to present a cross-laminated tulipwood structure, "The Smile" which was displayed at the Chelsea College of Art Rootstein Hopkins Parade Ground in September and October, 2017. The Smile was one of the Festival’s Landmark Projects, which could be inhabited and explored by the public. The spectacular, curved, tubular timber structure measures 3.5m high, 4.5m wide and 34m long and is effectively a beam curving up at both ends. "A simple and powerful concept which overcomes big technical challenges to deliver a delightful installation," said the category judges. "The structure allows for interaction on many levels. The interior both playful and contemplative. This might be small but it has a big impact." 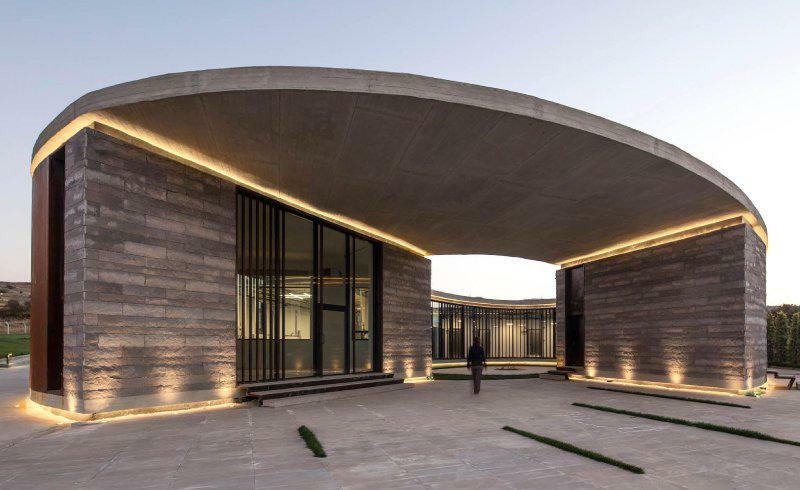 A boutique dairy factory in western-Turkey by Slash Architects and Arkizon Architects wraps a glazed courtyard offering visitors glimpses of the cheese production inside. 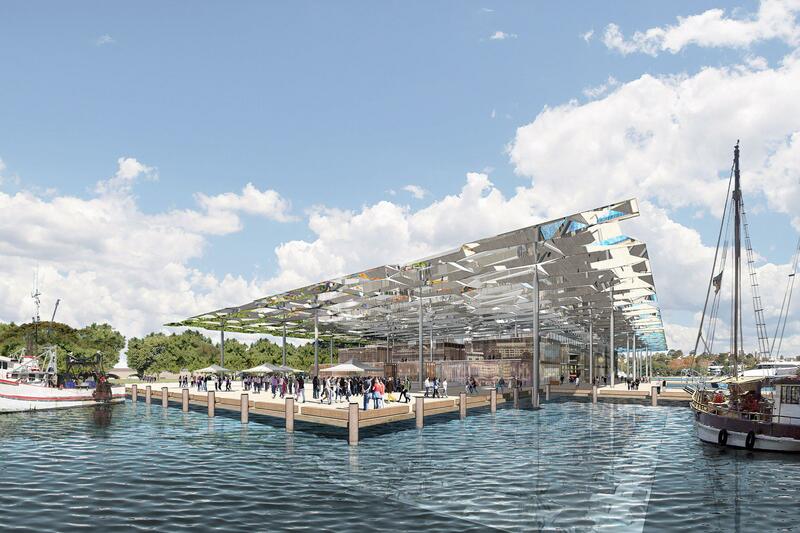 The New South Wales government is moving ahead with its rejuvenation of The Bays Precinct with plans to build a $250 million Sydney Fish Market. The new 35,000 square metre market will be twice the size of the current property and have 15,500 square metres of seafood retail space – compared with the current 6582 square metres – and outdoor dining for 3,000 patrons as well as a possible rooftop bar. A revamp of a 1970s train station in Chemnitz, Germany, saw local and regional transportation combined under one roof for the first time. The project involved re-cladding the building with "pneumatic pillow elements" and responsive LED lighting, creating a facade that reacts to the movements of pedestrians and vehicles. "A completely unexpected contribution to the city of Chemnitz," the judges said. 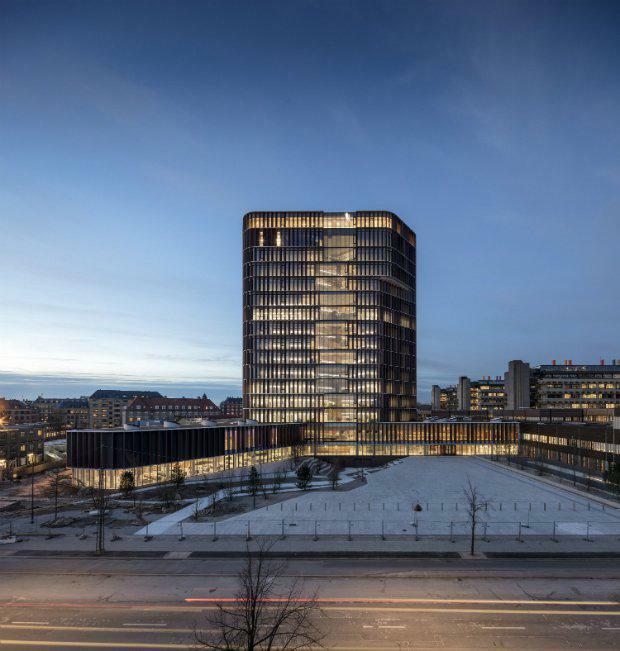 This laboratory complex for the University of Copenhagen comprises a 15-storey tower, nestled amongst a series of smaller buildings. Its facilities include an expansive "science plaza", intended to provide a social hub for students. "It proves that laboratory buildings don't have to be rectangular anymore," the judges said. "Without long corridors and cellular rooms it has created fun and interesting spaces." A project unique for the vegetables covering the trellising of this project in Ho Chi Minh City by local practice Cong Sinh Architects are used to make food and drinks served to the customers of a car repair centre next door. "The project is recognised for its very strong potential for social impact," the judges said. "The design approach was modest, yet thoroughly adaptable and sensitive, that would be transformed in a variety of contexts. Green cities can be edible." The latticed facade of this shopping centre is made up from diagonal struts of etched concrete, while the interiors are modelled on old-fashioned arcades. "The winning project contributes greatly to the urban fabric, it creates beautiful interior spaces," the judges said. "Highly personal it sometimes becomes slightly ugly, awkward and clumsy just [like] any human would." 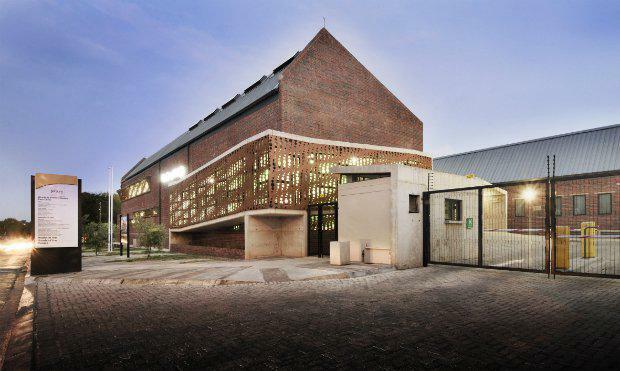 Perforated brickwork wraps one section of this healthcare clinic in Johannesburg by local practice Ntsika Architects. The relatively small-scale building leaves the remainder of the plot to act as an outdoor waiting area for the clinic. 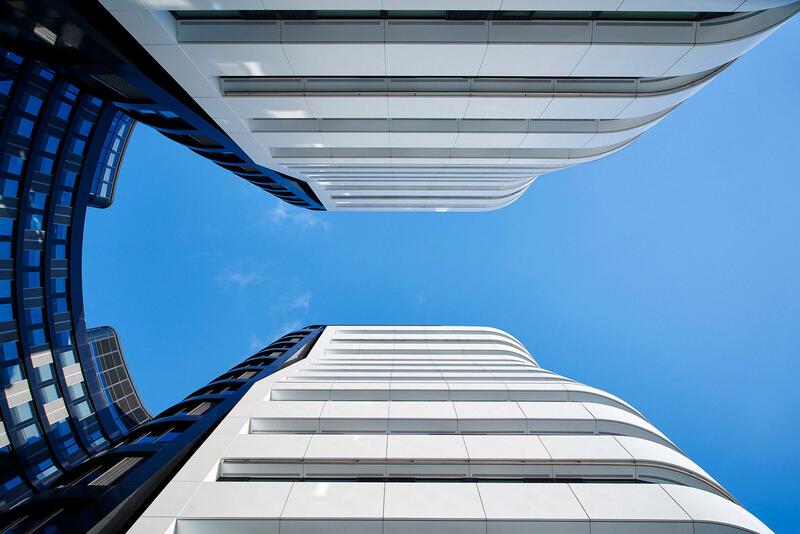 This 38,500 square-metre building in London accommodates student housing, a sixth-form college, affordable offices and a sports centre. Located in the Waterloo area, the curved block features a striped facade that alternates between solid white bands and slender windows. "Multiple uses compressed into [a] single block," the judges said. "[It has] tension between interior complexity and neutrality of its exterior identity." The full list of overall award winners can be accessed at the World Architecture Festival website.